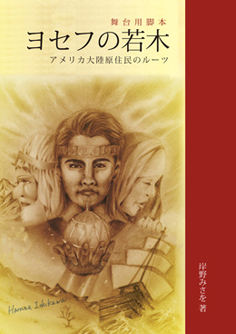 ■Recommendation message:　In 1901, the very first step of missionary work was taken in Japan. In the pioneer days, Tomigoro Takagi, the father of Toshiko Yanagida, was converted to the church, and Toshiko Yanagida was also baptised in shortly after. At that time, there was no translated materials, so Tomigoro Takagi, the father, translated songs that missionaries were singing. Eventually, Toshiko Yanagida was involved in full-scale translation. I read this with joy and gratitude. Sister Yanagida is about the same generation as my mother, and I received a strong impression with how she was dedicated to survive even while being tossed by the surge of of the times in Taisho and Showa era. Nikichi Takahashi was baptised when he was 16, and he converted his brother, Tomigoro Takagi, and later Tomigoro taught the gospel to his daughter, Satoko. (See “Beyond the Century” page 122-123) Brothers, father and daughter were “person with faith” who had “Lineage of belief” (the spirit who got sent to the earth through lineage of Jacob) that believes the true living God and his son, Jesus Christ, and people were influenced by their unshakable testimony and great examples. 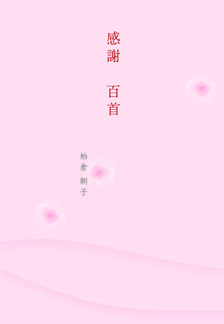 Sister Yanagida is also a poet who loves beauties of nature, and many of her works are included in “Footprint”. 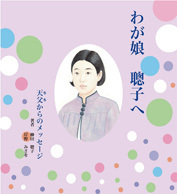 Some of her amazing works in the style of Japanese classical literature which express joy, love, gratitude, and suffering in the poems, are recorded in this book. I hope younger generation would commune with the literature born in our homeland Japan, and continue to poster it. I also hope that this picture book will be delivered to you like a bouquet of thanks, so Sister Yanagida’s faith and light, which were devoted to the foundation of the church in Japan, can continue to be inherited. On January 30th, she turned 94 years old, but I am sure she still fully enjoys her life of wait-and-see (“Da Vita Contemplativa” by Hesse Hermann) with smile and humour. Most humbly, I created this book with writings from the point of view of Heavenly Father. Upon publication, I would like to express my gratitude to Takara Akiko, who handled all illustration all the way from Oregon, Koji Ono, who was in charge of cover design, and Atsushi Saido, bishop of Kakogawa ward for his cooperation.